Lagalog Philippines Travel Photography Blog: Bohol Chocolate Hills - Tsokolate e! Bohol Chocolate Hills - Tsokolate e! 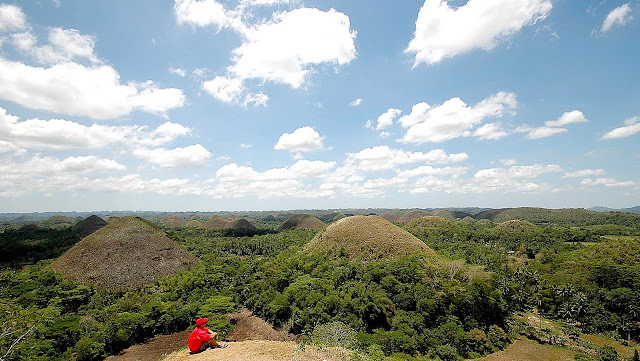 Carmen is a bit of a drive from Tagbilaran but who are we to miss out on the famed chocolate hills? Manong Dario told me that while we're headed to Carmen where the viewing deck is, the 1,768 hills are actually spread over three towns. During the height of summer, the vegetation dries up, hence the name. For now, it's brownish-green, but what the hey, I ain't complainin'.